We lived in Las Vegas for 5 years and attending one of the best hospitality schools in the country. 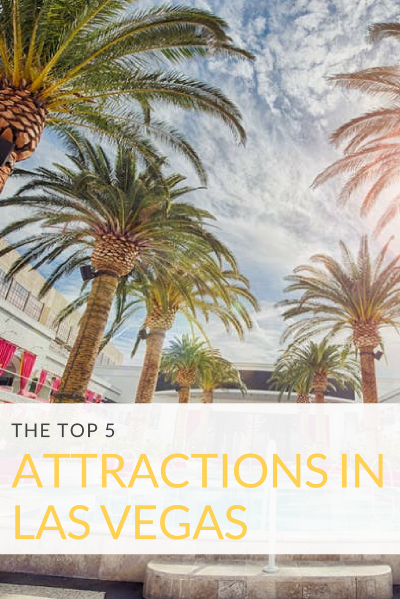 So we like to think we know a thing or two about attractions in Las Vegas. These are our top must-do! If these are all you do, then you've done the best of Vegas! You're in Las Vegas for crying out loud! I mean if you don't go to the sign then how will you ever prove it? Come on, this is a classic instagram must. #LVsignwhatup! They really do take your breath away. I don't care if you've seen it on TV or if your friend showed you a video. Go see it for yourself! It's pretty magical to watch water dance to music no matter how silly it sounds. Jose and I have stayed at the Cosmopolitan in the Terrace Wraparound Suite and we had a perfect view of the fountains and could even hear the music. That is an experience every person should have at least once in their lifetime. One of my favorite Vegas moments. This is another must for us. If you're going to Las Vegas it's not only about gambling and drinking. I know many people who come to Las Vegas and never take one sip of alcohol or spend one cent on the casino floor. Instead they take advantage of the amazing shows we have to offer! Whether it's a Cirque show (7 currently to choose from), a musical, a comedy show, a magic show, or a Las Vegas showgirl act - you can't go wrong! Our personal favorite is "O" at the Bellagio. Talk about breathtaking. Wow. What's your favorite Las Vegas attraction?? We love everything Vegas, please share your favorite memories!